We have been clients of Kinga for over 6 years. Their radiator product is second to none, a very professional business. A very friendly team, with exceptional customer care, we wouldn't think of going to anyone else for all of our product needs. As the saying goes “Forget the rest when you already have the Best”. We would highly recommend Kinga. 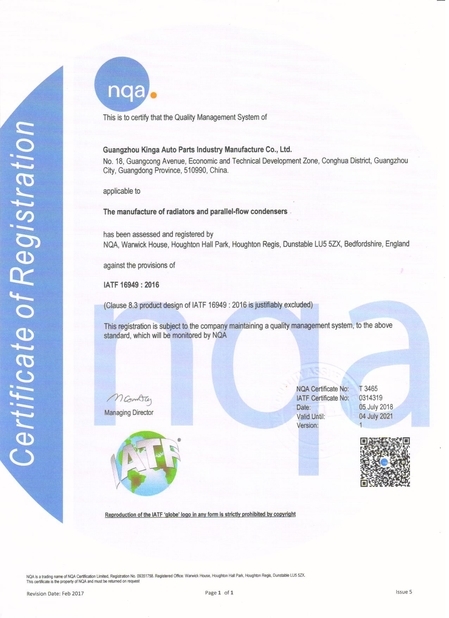 KINGA it's a professional manufacturer,good quality、good service and goo price! I order a 20ft container this time. I will order with Kinga again. 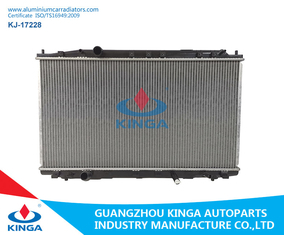 It is a pleasant experience to cooperate with KINGA.They are fast-reacted and offer good and stable-quality products. I just need to wait my ship now. They are very professional and have a great service. Thanks for their supporting for my urgent order. The VVO package is beautiful with good quality. Je suis heureux de faire une affaire de radiateur avec Kinga à nouveau. Je commande 48 ft cette fois. La plupart de leurs produits se vend très bien. Wide Use : More than 5000 kinds of products exported all over the world . Professional Factory : Specialize in manufacturing heat transfer system for over 10 years . Work Team : More than 400 workers , including a professional technical team . Rapid Response : Any email or inquiry from you will be replied within 24 hours,a quotation is ready in 2mins. Delivery : Exact Delivery Time can be guaranteed after having confirmation with you . 6.All the parts have one year quality warranty after the delivery. In case, there are any parts have problem in one year under normal use. We will replace the problem parts for free. 7.All the parts 100% fit the vehicles. 1. We have thousands of different parts for most Vehicles. 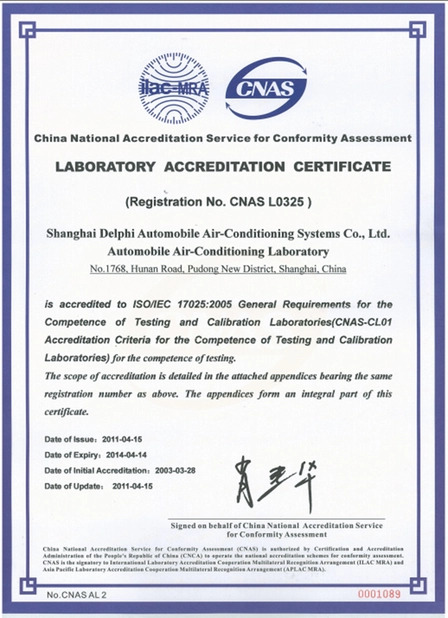 2.The most professional knowledge with Passenger Vehicle, cooling system and air conditioning system. 3.Not only we can identify the parts with OEM number, DPI number, Nissens number, we can also identify the parts with Vehicle, Model, Year, Liter even just the Vehicle pictures. 4.Keep close attention on new vehicles every year and develop the new parts in the shortest time. 5.We believe friends first, Business second.And we do our best to make every friend'sbusiness success. 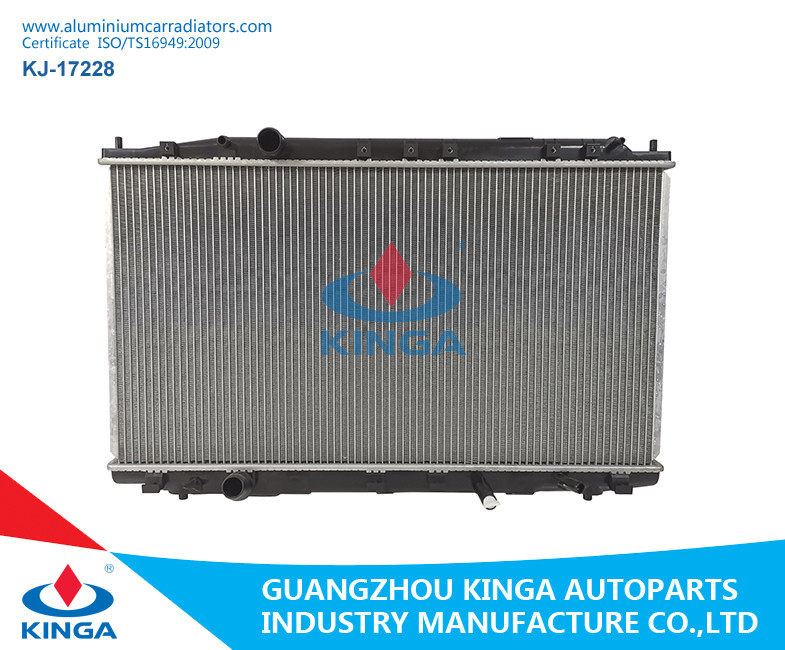 China Good Quality Aluminium Car Radiators Supplier. 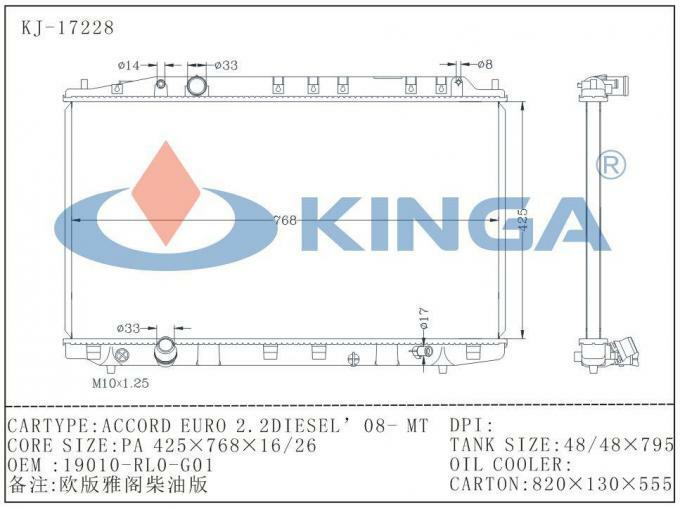 Copyright © 2014 - 2019 aluminiumcarradiators.com. All Rights Reserved.